Our Making LA Initiative Is Awarded an Art Works Grant from the NEA! We are beyond excited to announce that de LaB is the recipient of a $20,000 grant from the National Endowment for the Arts! The funds will support our Making LA initiative, a new event series we’ll be producing over the next year that will include… drum roll… the first-ever de LaB conference! We’re so honored to be in such great company! You can read more about the Art Works program and see the list of grantees [PDF]. Now, we need your ideas for how to make Making LA! 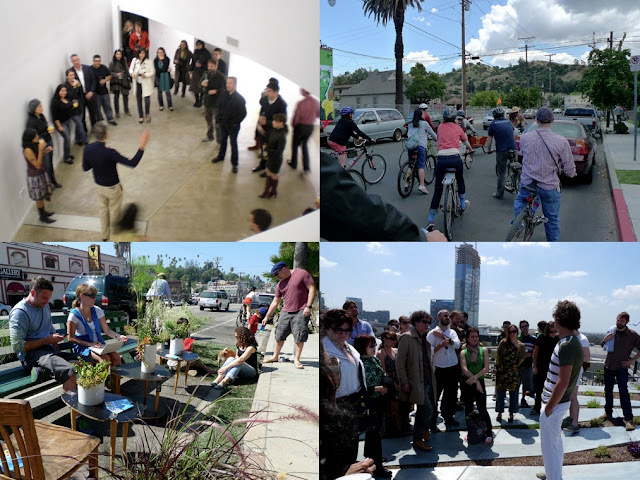 This special event series will feature ten important and inspiring community-focused projects located across the east side of Los Angeles, where you’ll have the opportunity to learn from the designers, architects, and artists who completed and/or fostered these projects. The series will culminate in 2014 with the Making LA conference, a one-day conference hosted on the east side of L.A., that features local creatives covering the elusive act of implementation for socially focused design ideas. The Making LA conference will also significantly highlight each of the creatives featured within the year-long Making LA event series, in addition to effectively educating hundreds of local creatives on how to move forward on their own projects for Los Angeles. So let’s hear it! What designers and projects should we feature? How can we produce the most dynamic, inspirational (and fun) events and conference you’ve ever attended? And we know we’ve been saying this a lot lately, but we really are so honored and humbled by your ongoing support as we grow* together. Thank you, thank you, thank you! *And while we’re talking growth, we should mention that the newest member of the de LaB family was born today, a baby boy to our co-founder Haily Zaki and her husband Brian Tuey. Welcome Rowan Phoenix Tuey!